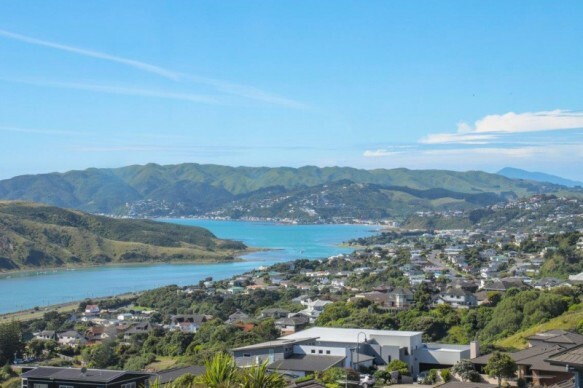 The panoramic views from Porirua over Titahi Bay and round to Plimmerton and Mana Island are some of the best on offer the perfect spot to soak in the glorious sunsets. Offering approx. 281m2 of floor area ensures generosity of space for living, entertaining and sleeping. Upstairs and downstairs contain living, sleeping and bathroom options, making for the ultimate in family flexibility. 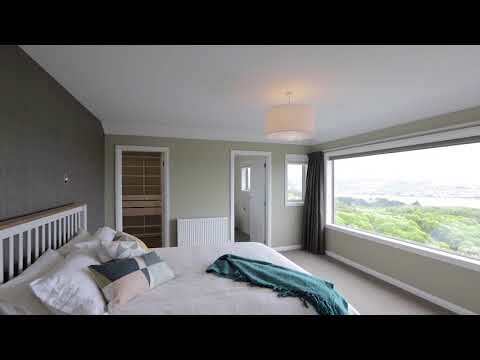 Enjoying the benefits of a North West aspect, the home basks in all day sunshine; double glazing is complemented by gas fired central radiator heating for discreet climate control. The house has 2.7m stud, and eco-friendly water heating systems and is built with Timber weatherboard with Schist. The grounds are securely fenced and offer low maintenance, with ample parking, generous double garage and extra space for all the toys. From here you are mere minutes from the shops and cafes, easy access to the motorway with the nearby coastlines and inlets offering brilliant recreational opportunities. This represents an incredible opportunity for astute purchasers seeking style and sophistication in a sought after location. Call Mel or Sal today.